Senators rejected a cloture motion April 5 during first-round debate on a measure that would ask Nebraskans to decide whether voters must show identification at the polls. LR1CA, introduced by Gretna Sen. John Murante, stalled during general file debate last session when an attempt to invoke cloture and cease debate failed. The proposal was given a priority designation this year, allowing it to be placed on the agenda again for further debate. The measure would place a proposed constitutional amendment on the November 2018 general election ballot. If approved, the amendment would require voters in Nebraska to present an ID containing a photograph or digital image prior to casting a ballot. 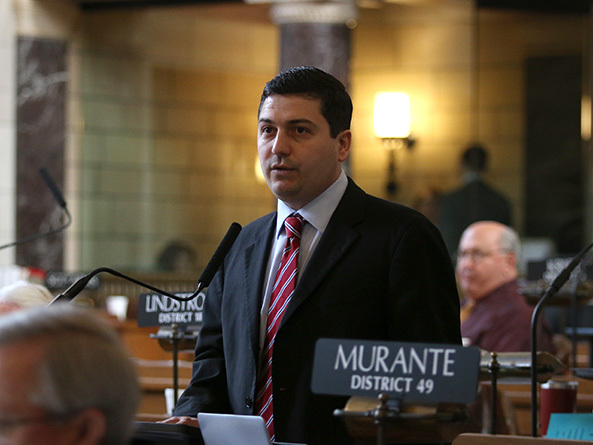 Murante said that since last session he had spent time traveling the state discussing the issue with Nebraskans, who he said overwhelmingly support voter ID. “Folks around this state—and clearly around this country—are genuinely concerned about the integrity of elections: about the conduct of elections, about the sanctity of elections, about whether people’s votes are counted,” he said. The 70 percent of Nebraskans who favor voter ID should have the opportunity to decide whether someone who shows up to vote is “who they say they are and live where they say they live,” he said. Such a requirement currently is necessary to purchase certain medications, board a plane or cash a check, he said, and also should be required of voters. “Over 35 states have some sort of voter identification on the books,” Murante said. 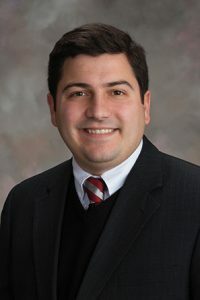 Lincoln Sen. Adam Morfeld spoke in opposition. People only support voter ID laws because individuals in power have misled them into believing that voter impersonation is an issue, he said, even though evidence for that assertion does not exist. In addition, he said, voter ID would place an unnecessary burden on the elderly, students, low-income individuals and others. The secretary of state repeatedly has indicated that voter impersonation is not an issue in Nebraska, Morfeld said, so lawmakers should focus on election technology concerns rather than restricting ballot access. After an hour of debate, Murante offered a motion to invoke cloture, or cease debate and vote on the bill. The motion failed on a 24-18 vote. Thirty-three votes were needed. A failed cloture motion results in debate on a measure ceasing for the day. With five days left in the legislative session, LR1CA is unlikely to be placed on the agenda again.